The fruits of our partnership and cooperation are all around us in the Greenway. The network of parks and green spaces within and around our cities; The working farms and forests that cradle our small towns; The ever-improving regional trail network that enables us to travel from home to school or work and even into the wilderness under our own power; The incredible wild reaches of the Cascades. Over the last 25 years, a growing assemblage of supporters have come together to create the Mountains to Sound Greenway that we see and cherish today. Conservationists. Recreationists. Business leaders. Government agencies. Community activists. Engaged citizens. All united by a love of this place, and a commitment to conserving it and making it better for everyone. From the start, the Mountains to Sound Greenway Trust has been dedicated to supporting and nurturing these partnerships. Setting an inclusive and welcoming table. Building trust. Promoting collaboration. Inspiring with a bold positive vision while remaining grounded in achieving pragmatic results. As the year comes to a close, we are proud to celebrate all that you have achieved across the Greenway with a sampling of projects that exemplify the shared connections among partners and the love for this place that motivate us to do things differently here. To do things better by working together. Sharing a vision for happier, healthier communities connected to nature. The Middle Fork Snoqualmie Valley, a pristine wilderness located only minutes from Seattle, presents both world-class recreational opportunities and the need for urgent action, as the newly paved road into the valley opened it to high-volume recreational usage for the first time EVER in late 2017. 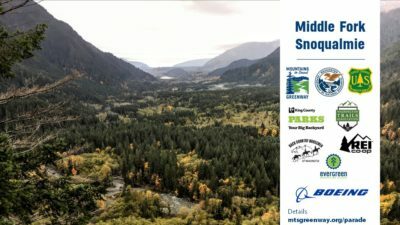 A lot about the Middle Fork effort is classic Greenway – bringing together a broad coalition of public and private sector partners; marshalling volunteers from dozens of partner organizations and hundreds of passionate individuals. But two things are different. First is the unprecedented philanthropic investment by both private citizens and corporate partners like The Boeing Company and REI Co-op. In only two years, the Middle Fork campaign has raised more than $6 million towards its $20 million goal. Second is that this effort represents an innovative and locally driven solution to the widening gulf between soaring use of public lands and declining agency budgets – and it is working. This year we celebrate Garfield Ledges — Greenway’s first ever trail and trailhead on public lands, funded entirely by private philanthropy. launching a new program to recruit and train long-term volunteers as Middle Fork Stewards, who will share responsibility for sustainability in the Valley. 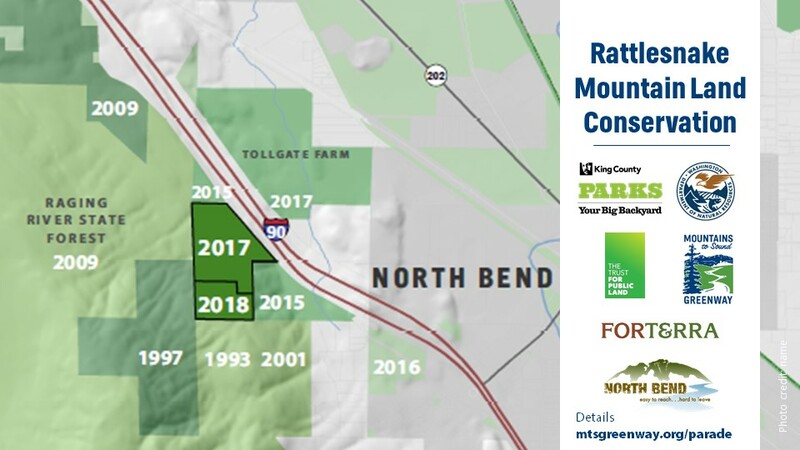 For several decades, state, county and federal agencies have worked together to conserve thousands of acres of land as the Rattlesnake Mountain Scenic Area. Recent acquisitions in December of last year and just last month filled in a triangle-shaped gap in public ownership on the northeast corner of the mountain. This purchase will allow visitors to access the trail systems on Rattlesnake and in the Raging River directly from North Bend. The Department of Natural Resources opened its new 17-mile Raging River State Forest mountain bike trail system in May. The highly anticipated opening kicked off the summer outdoor recreation season, thanks to a dedicated team from DNR, the Evergreen Mountain Bike Alliance, Puget Sound Corps, and devoted community volunteers. The new trail complex, along with the neighboring East Tiger Mountain bike trails, brings more than 40 miles of mountain bike trail next door to Issaquah, Snoqualmie, and North Bend residents and within a 30-minute drive for Seattle-based riders. 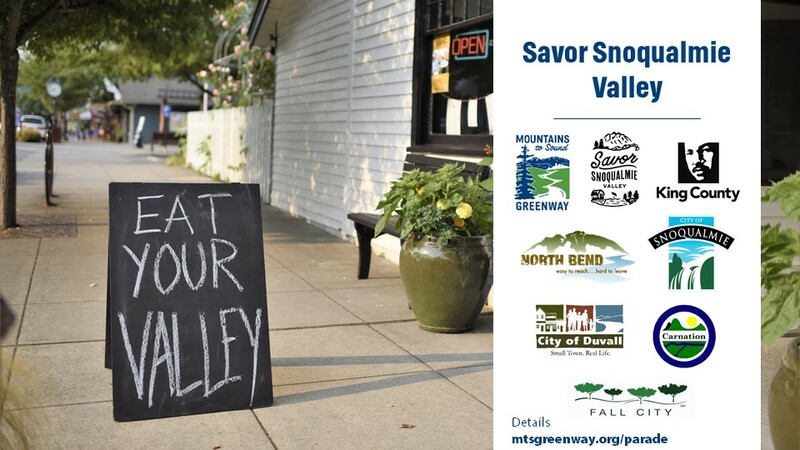 Savor Snoqualmie Valley seeks to preserve the Valley’s way of life through tourism promotion, historic and art walks, itineraries for a Day in the Valley, favorite hikes, and publicity for local businesses. Community leaders crafted a new strategic plan this year, and initiated new events including wine trains, Bounty Week, Local First business promotions, and an updated Savor Snoqualmie Valley website. The Snoqualmie Valley Trail is the backbone for active transportation and recreation in the valley, but people don’t always know how to access the trail, or how to reach local businesses from the trail. This year, new wayfinding signs were installed in Duvall, Carnation, Fall City, Snoqualmie, and North Bend. 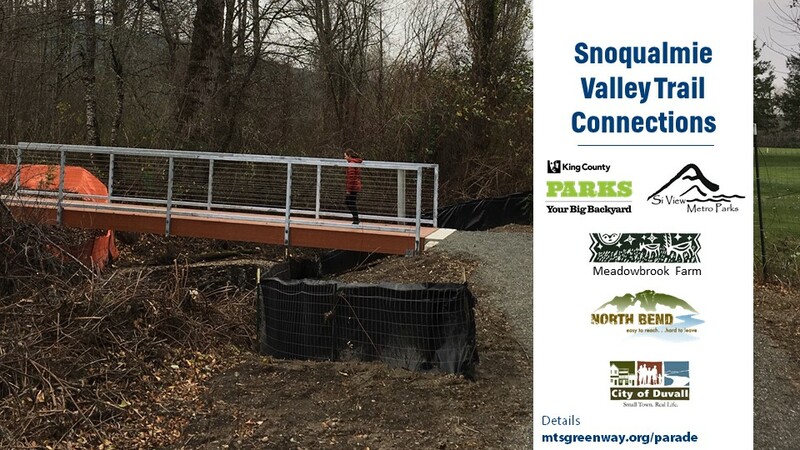 New connector trails have been built between the main trail and Meadowbrook and Tollgate farms, thanks to Si View Parks. And Duvall and King County built an extension north of Duvall connecting to Taylor Park and a Snoqualmie River boat launch. The Snoqualmie Tribe led major ecological restoration of critically important salmon habitat along the lower reaches of the Tolt River. 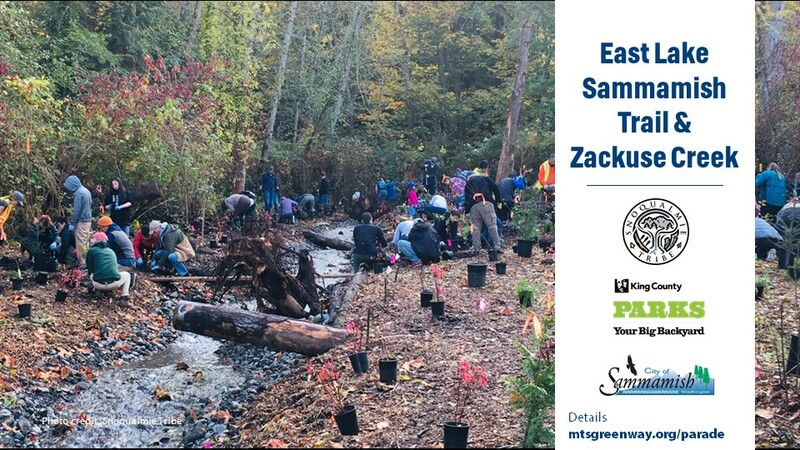 These projects have incorporated hundreds of volunteers, more than 11,000 native trees and plants, a Tolt Middle School field study, King County Clean Water Ambassadors, and Greenway education program students at this site over the past two years. Huge news at Snoqualmie Pass for wildlife and people! 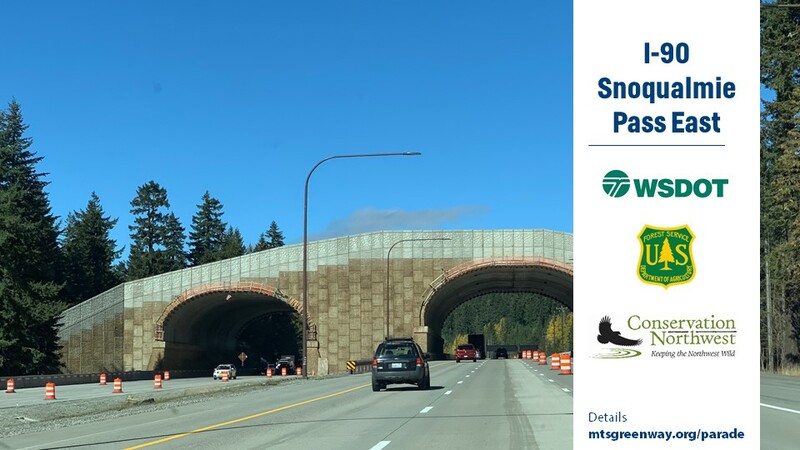 A new 150-foot wide wildlife overpass, part of the I-90 Snoqualmie Pass East project, has been constructed! Here at the intersection of a major east-west transportation corridor and a crucial north-south wildlife migration corridor, a monumental collaboration has led to the creation of North America’s largest wildlife crossing project and major improvements for travelers. You can learn all about this amazing achievement by watching Cascade Crossroads, a 30-minute documentary film commissioned by the I-90 Wildlife Bridges Coalition. The film chronicles the story unfolding over and under Interstate 90 just east of Snoqualmie Pass, and features many familiar faces and voices. This project is a game-changer for large-scale wildlife habitat connectivity and our larger efforts to live in sustainable harmony with the lands and creatures of the Greenway. 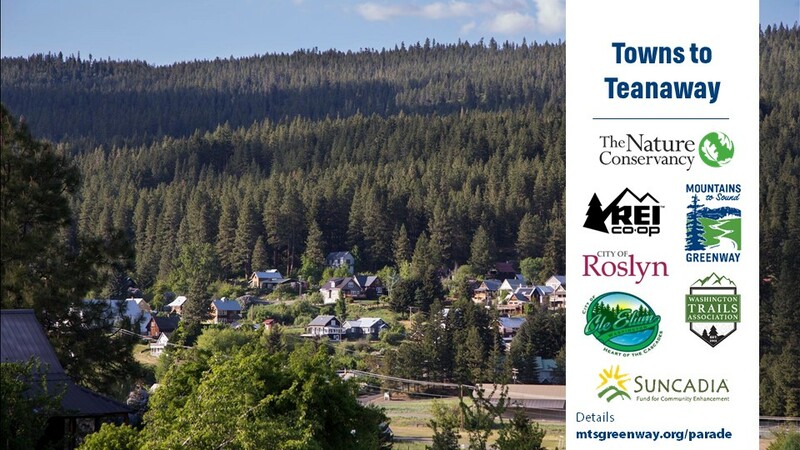 For the past eighteen months, the Teanaway Community Forest Advisory Committee has been hard at work developing a recreation plan. Created by the state legislature in 2013, the Community Forest was designated as a haven for watershed health, recreation, and traditional economic values such as grazing and timber harvest. 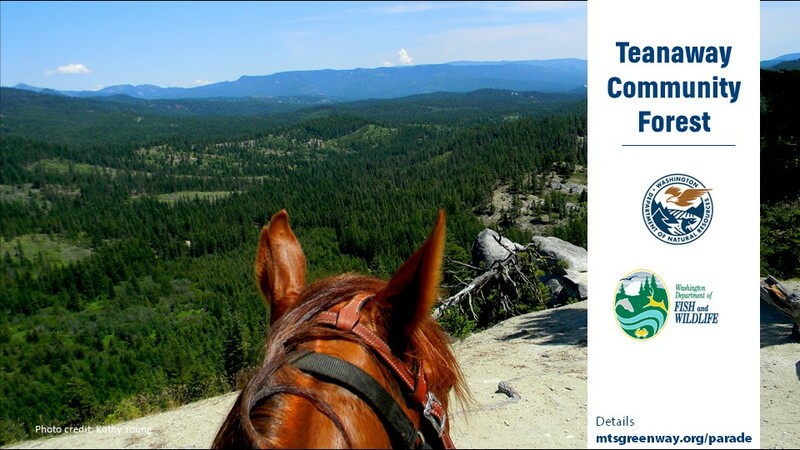 Members of the forest’s Advisory Committee, including the Department of Natural Resources, Department of Fish and Wildlife, and local Teanaway citizens, worked long and hard to develop a recreation plan that would include support for those diverse management objectives. The plan will officially be complete in December of 2018. The communities of Cle Elum, Ronald, and Roslyn sit right along the western flank of the Teanaway Community Forest, but accessing those vast public lands has required a 20 or 30-minute drive looping down through Cle Elum and back up the Teanaway Road. Inspired by the Community Forest’s recreation planning process, the Kittitas County Parks and Recreation District dug in to find creative solutions that could connect people directly to this wild playground without even having to get in their cars. They engaged the community, worked with private land owners and nonprofit partners, and raised funds to design a sustainable trail system between the towns and the Teanaway. This year, the Project Leadership Group has held numerous public input sessions, revised maps, and produced a shovel-ready concept. In October of 2018, they partnered with REI Co-op’s annual Leadership Conference to put 325 store managers and executives from across the US to work constructing the Ewok trail, the first connection to the Cle Elum Ridge. The City of Sammamish, King County, and the Snoqualmie Tribe are taking action to protect and restore depleted native populations of kokanee salmon. 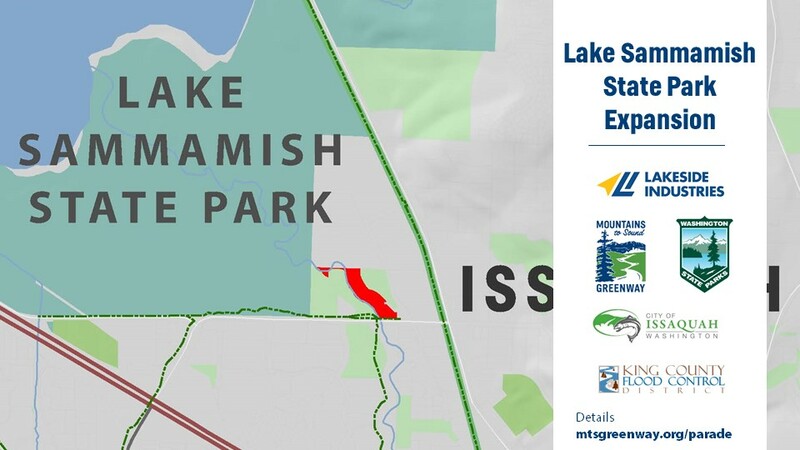 The East Lake Sammamish Trail connects Marymoor Park to Lake Sammamish State Park, providing an important active transportation link between communities and natural areas. A new 1.2 mile-section in Sammamish was completed this year, including new culverts on Zackuse Creek to benefit kokanee and other native fish. Washington State Parks has been at work for years with numerous partners and hundreds of volunteers to restore natural conditions in and around Issaquah Creek – one of the region’s watersheds most heavily impacted by human encroachment. That effort got a huge and unexpected boost this year, when Lakeside Industries, a local, family-owned company, decided to donate five acres of land along Issaquah Creek, adjacent to Lake Sammamish State Park. This incredible donation, which includes nearly a quarter-mile of the Creek, became the newest part of Lake Sammamish State Park and brought a crucial stretch of creek and salmon habitat into active restoration. 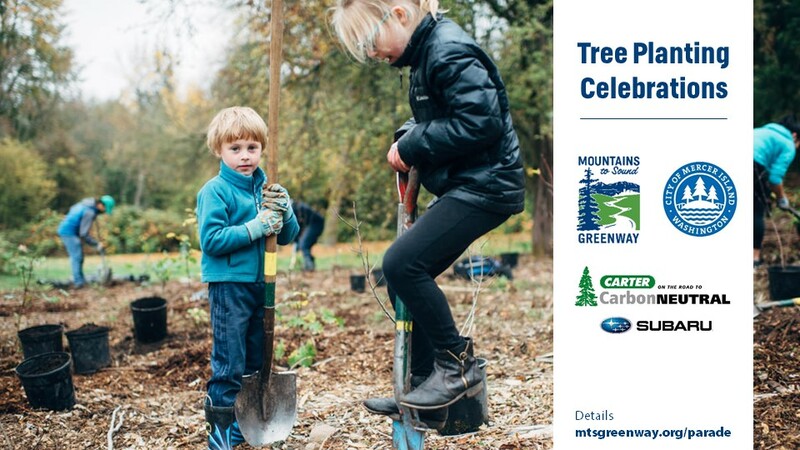 What a day on October 20, 2018 at the Greenway Trust’s annual Tree-Planting Celebration! 175 volunteers began a new urban forest, from digging holes, to moving mulch, to planting trees… and at the end of the day, 1,144 new native trees were taking root at Luther Burbank Park. We celebrated a decade of creating a greener community with Carter Subaru, who have now planted 175,000 trees in partnership with an army of mud-loving Greenway volunteers. This was an especially festive gathering, as we also celebrated Mercer Island’s designation as a Tree City USA. This recognizes the city’s leadership in urban forest stewardship and long-term ongoing commitment to increasing urban tree cover, which means cleaner air and healthier conditions for all of us. Ring the bell again for Carter Subaru! 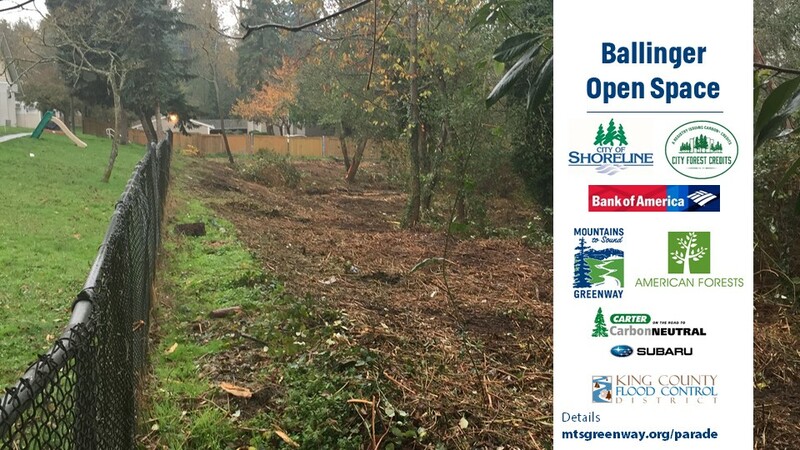 In another effort with a city partner, Carter has teamed up with the city of Shoreline to restore Ballinger Open Space, an underutilized, 2.6-acre open space in an under-parked area of the city. In an exciting enhancement, the Ballinger Open Space is one of the first pilot sites in the nation for City Forest Carbon Plus Credits, thanks to an investment by Bank of America. These voluntary carbon credits can help fund urban forest restoration, giving us a creative new tool to combat climate change by protecting and restoring green space in our communities. 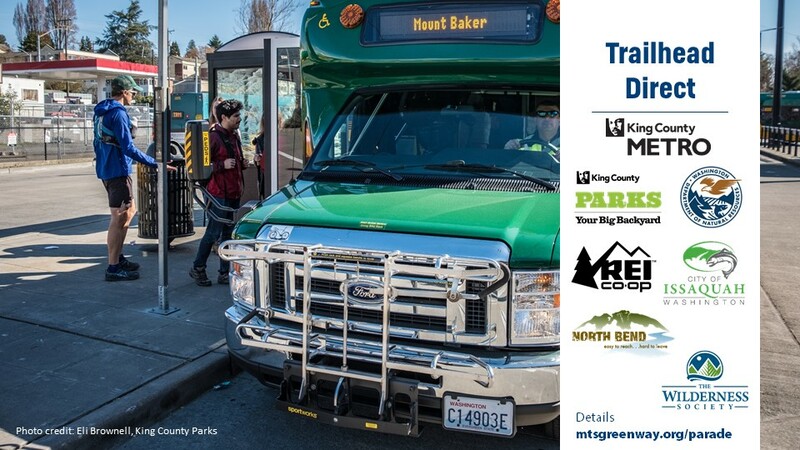 Transit to trails got a much-needed expansion this year, as a broad alliance of partners worked quickly to address the growing challenge of congestion at popular trailheads. 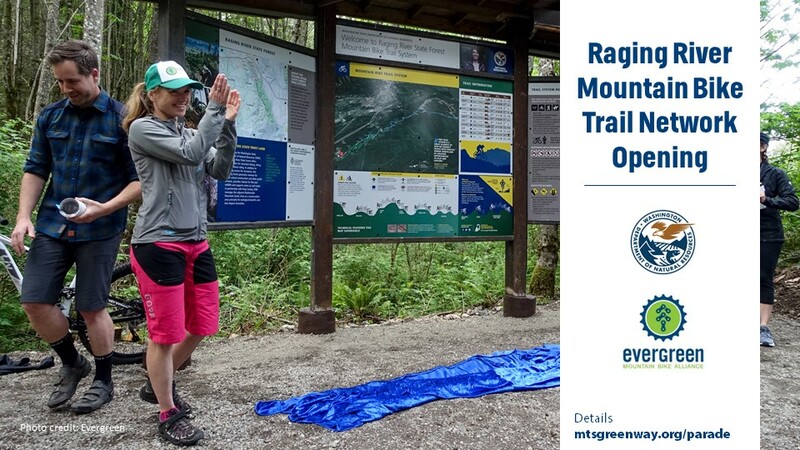 King County Metro deployed a major expansion of its Trailhead Direct program in its second pilot season, serving the Issaquah Alps, Mt. Si, and popular Mailbox Peak. The expansion included access originating at light rail stations in Seattle, answering surging demand from in-city hikers without cars, or those who wish to leave their cars at home. 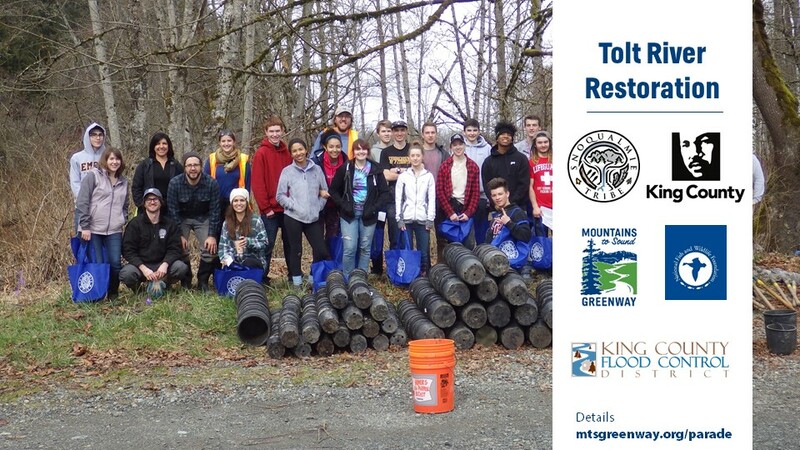 And finally – the Greenway Trust partners with King County Wastewater Treatment Division to offer an intensive 6-week summer internship for ten high school students. 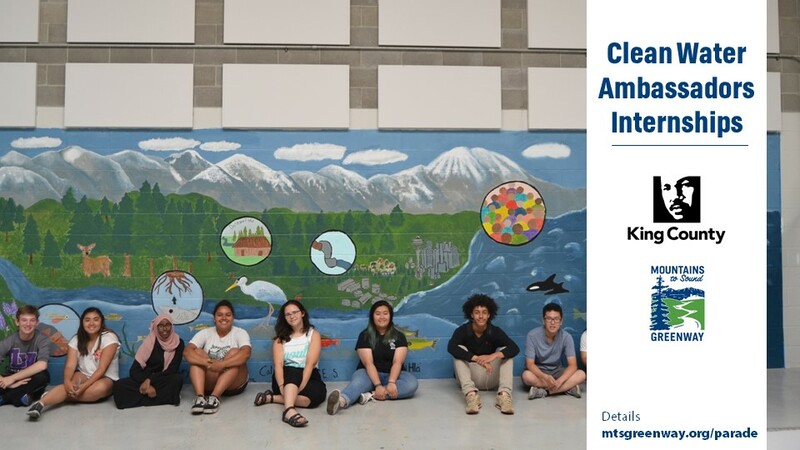 These young women and men, who were selected from more than 200 applicants, spent the summer learning all they could about local water management from various experts, and contributing to improving the resource through their own field work and data collection. The program incorporates a focus on mentorship and career exploration, and with the quality of this year’s class, we believe we’re seeing some of our future conservation leaders, who will make sure that achievements like all of these we celebrate tonight continue and grow in the coming years.